MASSIVE WWE 2K18 Features Reveal Round-Up: New Graphics Engine, 8-Man in ring, Create-A-Match, Gameplay, MyCareer, Universe and more! The day WWE Games fans have been waiting for has finally arrived! 2K Sports revealed tons of WWE 2K18 information, with several new features and improvements they are making for the next game. We gathered for you all the info in one place, broken down into categories to make them as easy to read and browse as possible. According to 2K, WWE 2K18 will be the most realistic and comprehensive wrestling experience to date, with a reworked graphics engine, new modes and story for MyCareer, an expanded creation suite, 8-Man match types and gameplay enhancements. Here are all the WWE 2K18 details we know so far in this massive news round-up! Overhauled commentary with a brand new Commentary Team: Michael Cole, Byron Saxton and Corey Graves are the three commentators in WWE 2K18. They were given extra time to work, and also had the chance to perform in the same room to lend the recording process more of a natural feel. There is also a New Ring Announcer, JoJo. Revamped Crowd System with new animations, reactions and authentic crowd chants. Match Creator / Create A Match returns in WWE 2K18: this addition lets players create a custom set of rules for a match, save them and use them in either Play Now or WWE Universe. There will be many different options to play around with, including interactive items and win conditions. The long awaited Free Roaming Camera finally makes a return for Highlight Reel! Also, Create A Video features more effects and better editing control. Create-A-Superstar has been re-built from the ground up, with a brand new "Base Model" that allows to create much more realistic and authentic-looking created superstars. The "fading" issue when stretching a logo in Create a Superstar that have been present in the past games, has now been fixed. Wrapping logos/designs all around will be possible again in WWE 2K18! Create-A-Superstar and Create-An-Arena received further additional improvements. The max number of wrestlers in the ring in WWE 2K18 has been increased to 8 Superstars for the first time in the series, featuring 8-Man Tag Team Matches (4 vs 4), Ladder Matches, Battle Royals, as well as up to 8 Superstars in the ring at the same time during a Royal Rumble Match. Completely Revamped Royal Rumble: New Mini-Games, New Animations, New Types of Eliminations, a Rollout System, New A.I. Smart Pairing with Tag Partners working together, a system that allows Superstars to enter the Rumble with a buff. Reworked Elimination Chamber, with brand new Chamber Model, all new Animations, and for the first time ever, Elimination Chamber Entrances! Expanded Backstage Brawls with three-times the interactive objects and new locations to fight across in the arena, such as the parking lot. The developers describe it as a free roam arena. You can also do Mid-Move Adjustment, like the Directional Throw featured in previous games. There is a New Position Feeding System. Superstars will adjust their position in the ring when selling, so matches flow better: instead of bumping and staying down, they head towards the ropes, corner-seated, corner-groggy, apron, etc. Updated Weight Detection System, with lifting moves having a rating that determines who can execute them. Superstars could also get a temporary adrenaline boost that might allow them to execute lifting moves that are over their limit. Key parts of the submission system have been reworked and overhauled entirely, making it easier to learn and use. WWE 2K18 MyCareer delivers a new MyPlayer experience that introduces a brand new upgrade and progression system. MyCareer in WWE 2K18 features a Story which is more concise and narrative-driven, and will be replayable with branching paths, instead of a never-ending series of matches like in previous years. WWE 2K18 MyCareer will also incorporate Free-Roaming in Backstage Areas, allowing you to explore, talk and attack other WWE Superstars, forming alliances, making enemies, seeking out quests, and strategizing for upcoming matches. Players can choose from eight 8 Fighting Styles to help define their MyPLAYER experience. Each fighting style (Giant, High Flyer, Brawler, Technician...) comes with its strengths and weaknesses, so the choice of style matters. The fighting styles are going to be exclusive to the MyPlayer system. MyCareer Invasion is "going further", with more ways to interact with your friends characters. WWE 2K18 is delivering an all-new Online MyPlayer Mode Called "Road to Glory", that lets players compete against others, using their MyPLAYER characters, in a quest to qualify for WWE pay-per-view events. More details will be revealed in the coming months. Backstage Brawls will now be playable Online in WWE 2K18. WWE 2K18 will also feature an Improved Community Creations Search Engine, now offering more relevant results. 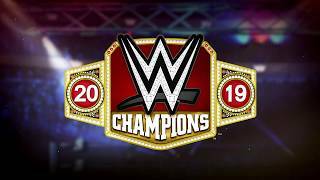 WWE Universe Mode "Re-Wrote Completely" in WWE 2K18, to support very diverse pay-per-view calendars, meaning it manages WWE’s current pay-per-view schedule alongside player-created custom pay-per-view calendars. There is a new Story System that provides more flexibility in how stories play out. The interactions between WWE Superstars build up to rivalries and determine what stories will unfold. In addition, there are new story cut scenes, new Power Rankings and even a new Superstar goal feature to be announced in the future. The WWE 2K18 Roster will be the Biggest WWE Roster Ever - "by far" - say the developers. It will feature close to 200 Superstars. Differently from what previously reported by Gamespot, Intergender matches will not be available in WWE 2K18 and will not be an option for the new Create-A-Match feature. This is it... for now! These are all the information that have been revealed so far, but there will be even more features and details to be announced in the next upcoming months leading up to the release of the game on October 17. 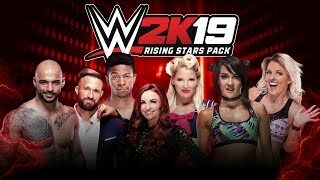 In addition, 2K announced a 2KDev Spotlight Series, starting next Thursday, July 13 on wwe.2k.com, that will provide ongoing information updates and a behind-the-scenes look at what goes into making a WWE 2K game. Stay tuned on The SmackDown Hotel for the first look at WWE 2K18 new visuals and gameplay, and for more info on WWE 2K18 check out our News Section and the WWE 2K18 Roster Page! 2K Confirms Kurt Angle: Two Playable Versions, Official Art, Trailer Date!